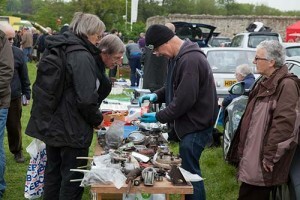 Back for its 21st year, the ever-popular Beaulieu Spring Autojumble will be taking place on the 17th and 18th May in the grounds of the National Motor Museum. The 1,000 Autojumble spaces will be selling everything motor-related, including parts, automobilia, literature and accessories. While the Motormart on the Beaulieu Arena will have up to 200 vehicles for sale, ranging from concours classics to restorable relics. In the Dealermart there will be a selection of quality classic cars for sale. 2014 marks the 50th anniversary of the prestigious European Car of the Year title, and in celebration of this, Beaulieu is hoping to display an example of each of the 50 winning vehicles. The unique line-up will tell the story of the competition, from its first winner in 1964 (the Rover 2000) to the 2013 victor (the Golf MKVI). Owners of vehicles which have won this award can join the display – to see if your vehicle is eligible, view the full list of winners at www.springautojumble.co.uk. 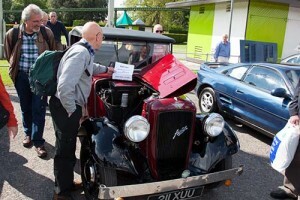 If you find your vehicle on the list you can put it forward for the display by filling in an entry form and emailing it, along with a photo, to events@beaulieu.co.uk. Show sponsors, Practical Classics, will be present at the event with a one-off practical demonstration – the restoration in one weekend of the world’s first production Hillman Imp – along with a collection of magazine cars and previous restorations, including Lord Montagu’s MGB GT, which was restored to working order during last year’s Spring and International Autojumbles. Sunday highlight at Beaulieu Spring Autojumble include Old Sodbury’s Land Rover Sortout, selling Land Rover and 4×4 parts and accessories, and Trunk Traders, with amateur autojumblers selling their surplus car bits from the back of their vehicles. Introduced in 2012, the popular Walkabout Auction will again be taking place on the Sunday afternoon, with Practical Classics Editor, Danny Hopkins, as guest auctioneer. It offers an ‘end of show’ chance to buy and sell, giving exhibitors an opportunity to sell off surplus items of stock they don’t want to take home with them. For just £1, exhibitors can buy a box to fill with bits (larger items can go alongside), to be auctioned at the end of the afternoon. It’s a simple and easy way of buying or selling those last bits from the show and there are no auction fees to pay. 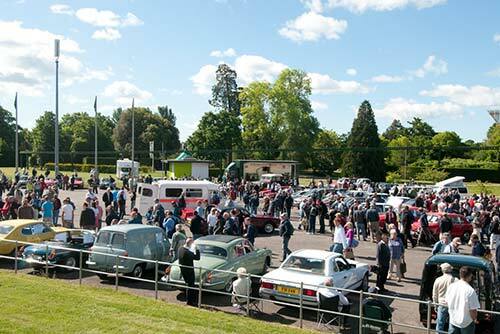 Visitors to the event can enjoy all the Beaulieu attractions, including the National Motor Museum, World of Top Gear, Palace House and Beaulieu Abbey. There is still time to book Beaulieu Spring Autojumble stand spaces, with prices starting at £65 and £30 for Motormart spaces. The cost of a Sunday Trunk Trader space is just £20. For all stand bookings, please contact the Events Department, by email at events@beaulieu.co.uk or by telephone on 01590 614614.